As Deireadh Fomhair draws to a close so does Autumn and in First class we have spent a great deal of time looking at the changes in the seasons. 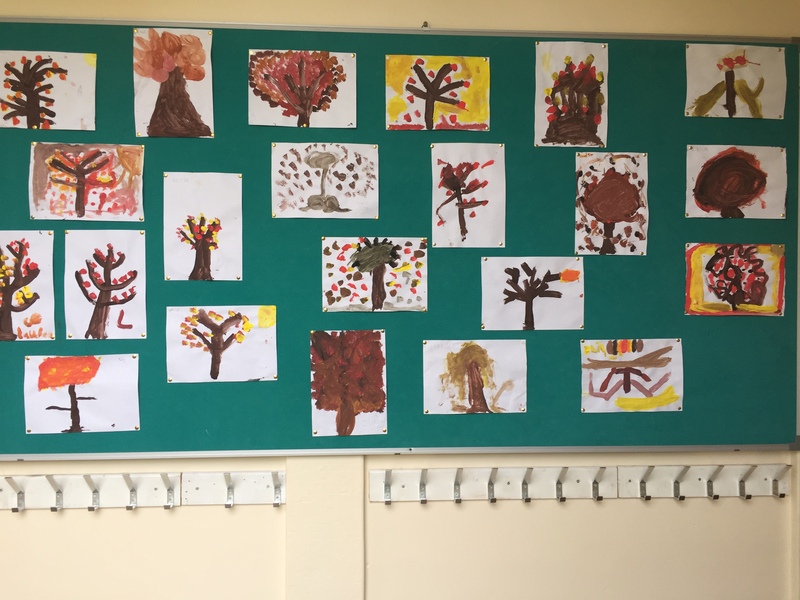 In first class this month we examined the warm autumnal colours and used them in our Art. We looked to the school grounds for inspiration and as the leaves fell, this became the perfect inspiration behind our art work. 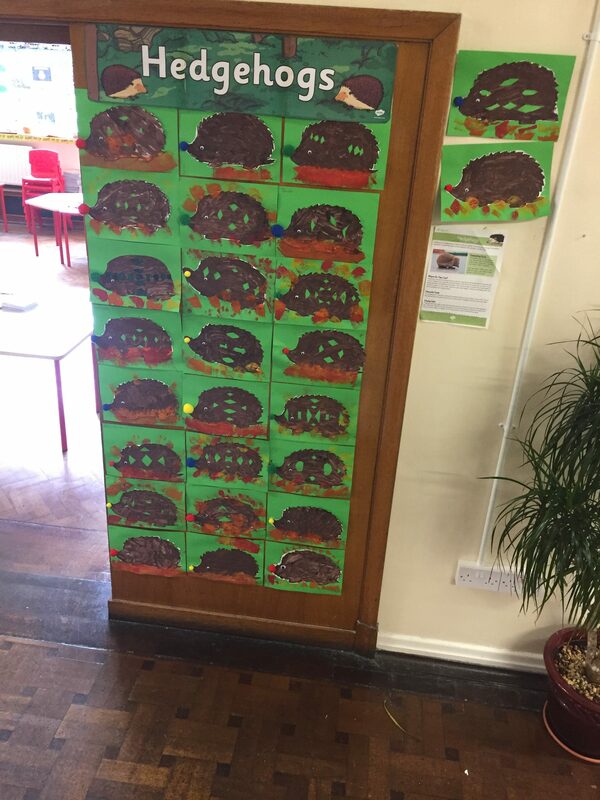 We learned all about animals hibernating, and we discovered how to do our bit to get ready for this special time of year. We examined the hedgehogs closely and told Jim the caretaker to look out for any hedgehogs that might be hiding out in the piles of leaves on the school grounds. Storm Ophelia was also a very interesting time for us as we look at the effects of the storm on the school grounds and the country. 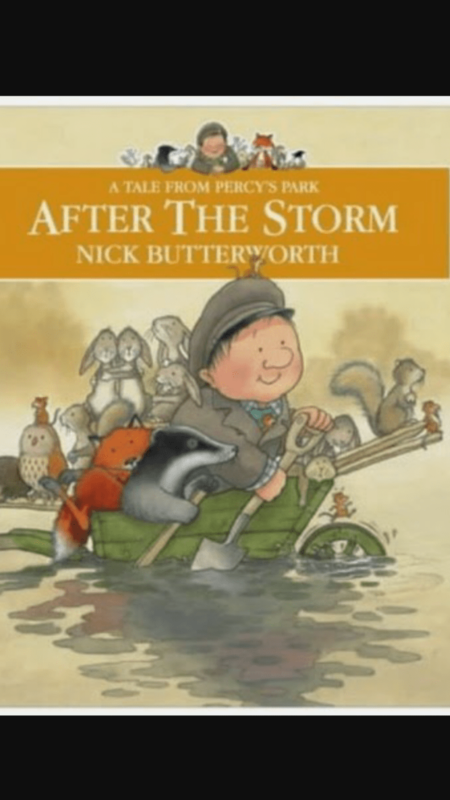 From reading the book After The Storm, we now have a better understanding of what we can do to help animals after the storm. We are thoroughly looking forward to the book fair that is taking place this week. We all got to look at the selection of books on offer and we had the chance to recommend books to other children in the class.